Absolute Pearls for Ponds give advanced bacterial delivery to your pond water and filters. 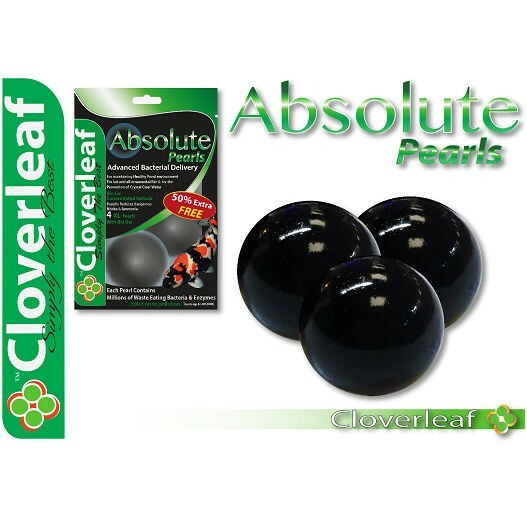 Absolute Pearls are a natural product that contains millions of microscopic nitrifying Bacteria and Bio Active Enzymes that rapidly go to work on braking down elevated harmful levels of Nitrite and Ammonia and clearing up any waste build up in your filtration systems and the pond. Each 50mm Absolute Pearl will treat up to 20,000L / 4400gls and cannot be overdosed.